Limo Service Brandon is the premiere limo service for the greater Brandon area. Our limos are the best maintained in the market, and we will make you feel like royalty. From the moment you set foot into your luxury limousine, to the time you say goodbye after the night of your life, you will be pampered and spoiled more than the Queen herself. 1) Fleet. Our fleet includes an amazing array of the highest tech limos in the Brandon area. We have sedans, stretch limos, and party buses. All of our limos come decked out with all the latest technical buzz. We have flat screen TV’s, plush leather seats, and amazingly comfortable interiors that just pop from the moment you set foot in. You will ride in comfort and luxury on your big night out, and have the memory for a lifetime. So whether it is a 25th anniversary or a luxury trip to tailgating and a Bucs game, you will ride in style with Limo Service Brandon. 2) Professional Chauffeurs. Our trusted chauffeurs are complete professionals and will make your night very special. They will be there on schedule or before, and await your arrival dressed to the T’s with a polite and respectful smile. They will make your afternoon or evening a lot of fun, but also respect your privacy. They know their way around the Tampa and Brandon area, so if you’re not sure the best place to stop off for a happy hour special they can certainly give you great ideas. They will accommodate your every need within reason, and go out of their way to make this the night of your life. 3) Client Focus. Limo Service Brandon focuses on our clients, and we pamper all different types of clients with our elite and luxury limo rentals. This focus on the client has enabled us to build long-term relationships with our clientele. We make every effort to work with you one whatever special request you might have. So whether it is multiple pickup locations, middle of the night pickups, or extra stops along the destination route we are here to make sure your special day is everything you dream about. 4) Affordable. We make every effort to make our Brandon limo rentals affordable to everyone. Our best price guarantee will make sure you receive the best price in town...period. We just believe that luxury limo rental should not be reserved exclusively for the millionaires. We believe that every family should enjoy the luxury and comfort of a luxury limousine ride at least once a year. So we try to work within your budget on the special occasions. 5) Events. At Limo Service Brandon, we specialize on fun events, whether it is the bride and groom, girls night out, or the guys headed to the big game. We also love to pamper our corporate clients when they are in town to enjoy the sunshine state. Our corporate clients appreciate the quiet luxury of our elite limousines. So whatever your special event, let us make it truly epic. 6) Service Area. Our service area for superior limousine rental cars includes the greater Brandon area to include Lakeland, Tampa, and most of Hillsborough county. 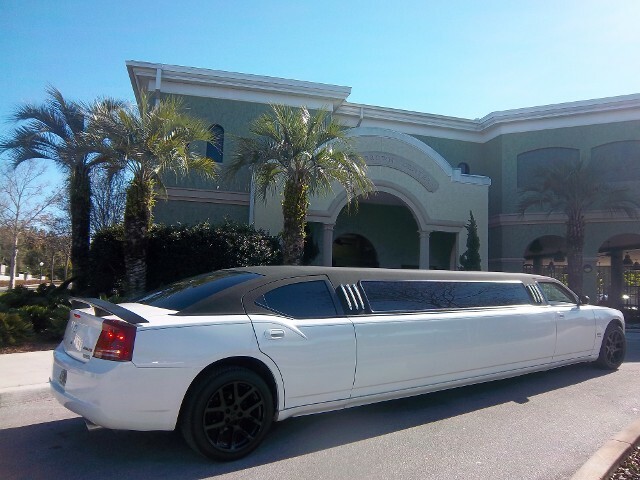 So for the very best limousine rentals in Brandon, FL call us at 813-513-7872 for your free quote today! We have a best price guarantee so if you find a cheap limo rental in Brandon, there is a strong possibility that we will beat it! We also have continuous limo specials in Brandon so no matter you special occasion, we likely have great deals that can meet any budget. So make sure you call us today and reserve your epic limo today.